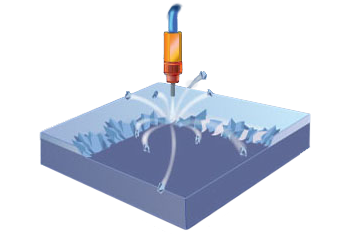 The Ring Nozzle provides uniform removal to sharp delineation. 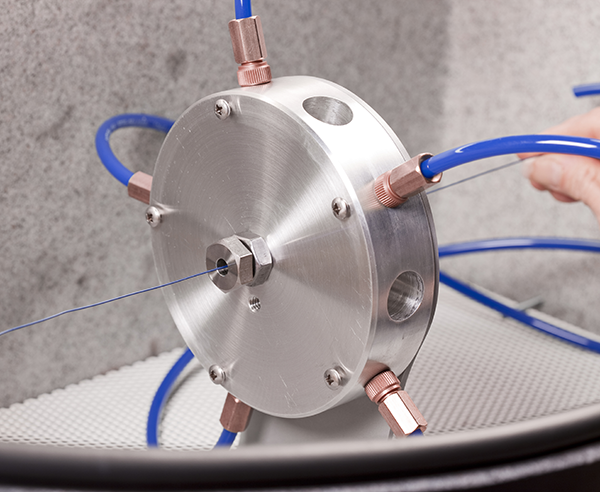 Remove PTFE coating in multiple, evenly-spaced 2″ sections from a stainless wire. The delineation from coating to clean wire should be <0.005″. 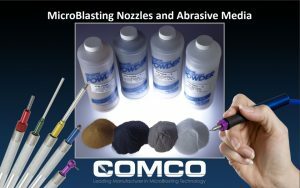 a manual Comco MicroBlasting system. 100 pieces of ss wire, half of which are 86” in length, the other half 43”.ODs are 0.020” and 0.016” respectively. Ok. 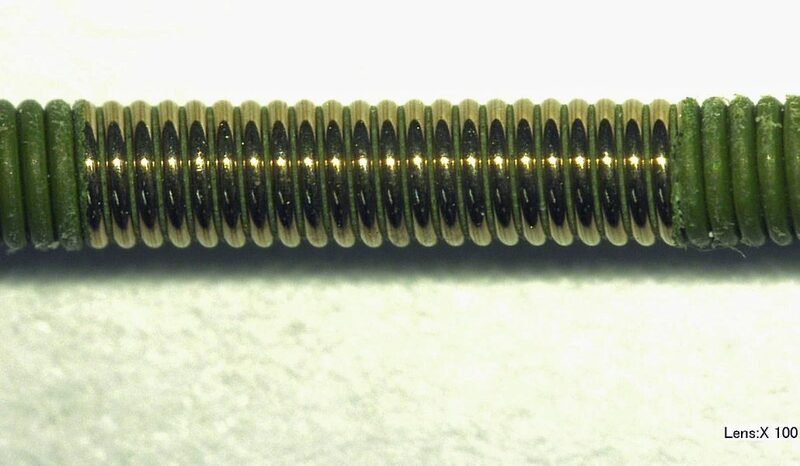 This task is not usually considered a “mission”; but it is a common challenge for the manufacturers in the medical industry and applicable to anyone working with PTFE wire or coil, PEEK tube, Nitinol tube, stainless tube, and needles. It also allows us to have a little fun while we shamelessly plug a handy-dandy addition to your blasting system that will save time, money, sanity; and most importantly, help you complete this mission with speed, precision, and accuracy. We catalog PTFE coating removal under the umbrella of “Selective Cleaning“. While controlled erosion is the process of carefully removing layers of one type of material to carve channels or features; selective cleaning is the process of selectively removing unwanted material to reveal another. Often, selective cleaning involves the removal of one type of material from another type—like, a ductile layer from a brittle, or vice versa. 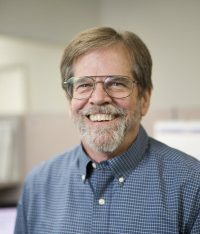 Abrasive selection is key to successful selective cleaning because it often involves two different materials. For this mission, a gentle abrasive like sodium bicarbonate can remove the top polymer layer without damaging the underlying wire. Selective cleaning, also known as selective removal, involves the selective removal of an unwanted surface layer to reveal another. Now that you have your abrasive, the task seems relatively straightforward, right? Feed the wire through the blast cabinet to the starting point. Press the footswitch and blast. Turn the wire and blast again. Slide the wire to the next point and repeat. Coating removal with single fixtured nozzle- messy delineation and duplication, impossible. (Here comes that shameless plug.) Fortunately, you have high standards. You value precision, and you recognize that time is precious. You use the Ring Nozzle. The SP1906 Nozzle Array, or the Ring Nozzle, is designed to uniformly blast the outside diameter of wire or tubing simply by feeding the targeted part through the center of the array. 360° of coating removal in one swift blast. What is the Ring Nozzle? The Ring Nozzle consists of three major components: the nozzle array assembly, a splitter, and two guide bolts. 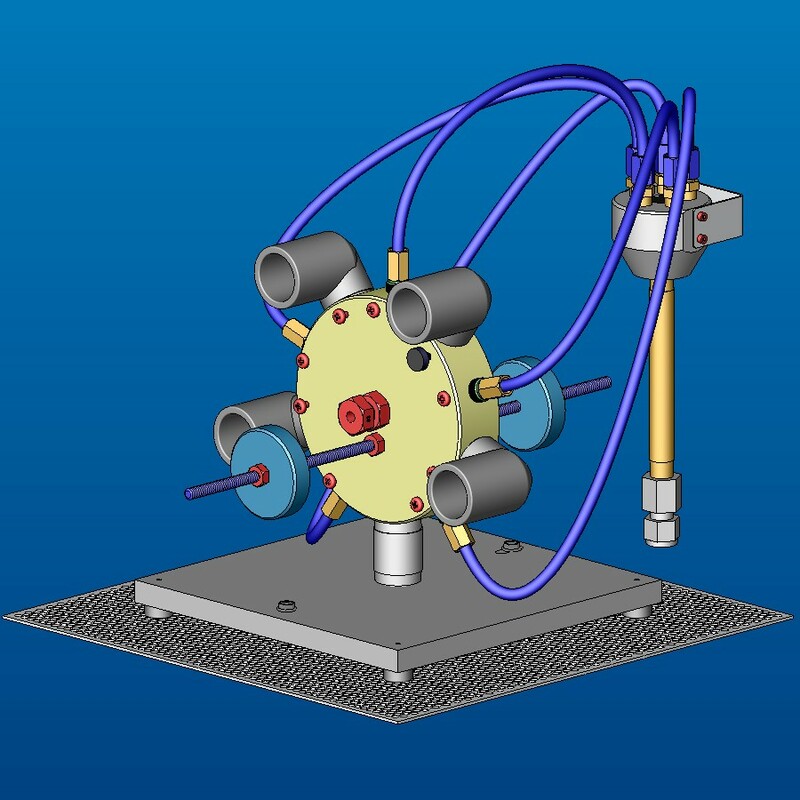 Configured with five MB2520-30 Hi/Performance nozzles (custom options available); the nozzle array assembly is designed to spread the abrasive flow uniformly over a circular cross-section. The splitter divides a single abrasive stream from your blaster into multiple uniform abrasive streams. 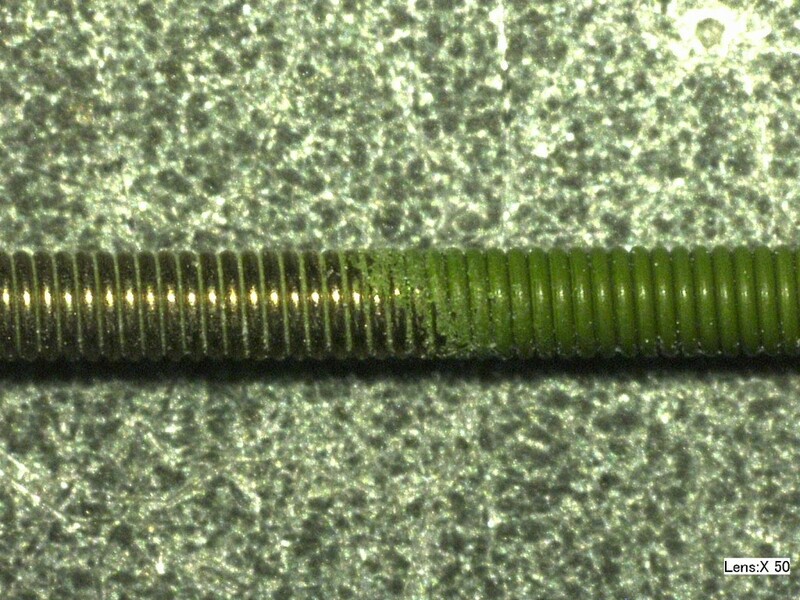 Guide bolts ensure the part is fed through the center of the blast stream and provide a masking feature when a part requires only partial blasting. Opening sizes are available from 0.020″ to 0.125″. Screwing the bolts in or out adjusts the length of the blast region. Stop wheels are used for stop points for the blasted part and ensure a repeatable blast position and length. The standard stop rod is 6″ (152 mm long), but longer stop rods are available upon request. Q: What has 5 nozzles and blasts uniformly 360° on a targeted part to a sharp delineation? Q: How sharp is that delineation? Q: What do results look like on other materials? 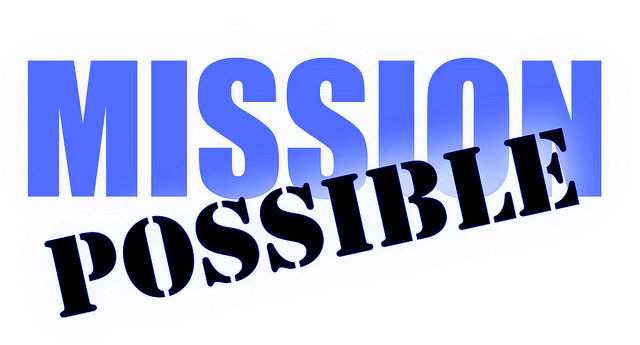 Q: Who successfully completed this mission? 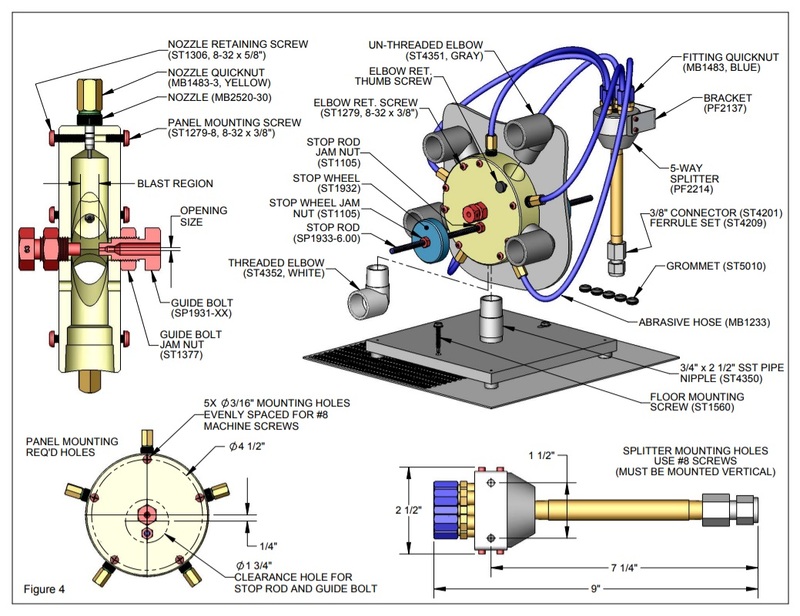 Diagram – the SP1906 5-Nozzle Array – click to enlarge. Click image to access the brochure in PDF. Ready to run a sample?